Marlon Byrd has been kind of a blessing to this moribund Phillies offense this year. Before the season started, there was a feeling that the signing of Byrd was for too much money and that he probably would live up to the expectations that the Phillies needed. Fast forward to this season, and surprise, Byrd hasn't been all that bad. He's one of the last Phillies players that should be on the trading block, but his name keeps coming up in trade rumors. That's the interesting thing about Ruben Amaro's trade deals. He seems to trade the very players who are helping the team, like he did with Victorino and Pence. It's leaves the team much worse than it was before. Of course if the Phils got a nice pickup from another team that would be different. We'll see what happens as the trade deadline has only a couple more days left for non-waiver trades. The Phils got pounded by the Mets last night 7-1, just when this team starts to look good, they get shelled and it sets them right back. Don't blame Ryan Howard for an awkward looking play that happened on Sunday afternoon at CBP when the Phillies took on the Arizona Diamondbacks. It started with a routine pop-up by Marlon Byrd who threw his bat in disgust and Ryan Howard started going through the motions of running the hit out as there were 2 outs and it looked as if the Phillies would be out for the inning. Howard took a que from the crowd, as the ball was dropped by second baseman, Didi Gregorius, Howard picked up the pace and started motoring around third base, unaware that a sharp center field player had picked up the dropped fly ball and had a perfect throw to home plate lined up to gun Howard out by a mile at home plate. The throw was perfect the old way a catcher used to put a tag on a runner, but with the new rules in place with avoiding home plate collisions, the play ended much differently than it normally would. Howard was called safe after his path to home plate was blocked by the catcher. It took New York umpires from the MLB a full 3 + minutes to come back with a verdict, but it was the only verdict they could have rendered due to the rules laid down by the MLB themselves. Immediately there was a flurry of tweets about the play just after it had happened. Phillies beat reporter, Matt Gelb, who writes for the Philadelphia Inquirer, lambasted Ryan Howard for not running harder and essentially blamed him for the odd looking play. Howard would have never been able to score on that play even if the was running full out, the throw was perfect. Major League Baseball has created a monster with this rule. Ryan Howard is safe for failing to hustle. No, we can't blame this on Howard, who was in a 3/4 jog mode on a routine pop-up, the kind of play that is caught 99.8 percent of the time. This play was different though and it highlighted a change in baseball that was made specifically because of the injuries that have been caused by collisions at home plate. Our old friend Hunter Pence does what he always did. Last night he won the game for the Giants, hitting a bloop hit that sealed the game for the Giants and gave Jonathan Papelbon his second straight night where the Giants have beaten the Phillies at his expense. Maybe Pence dedicated that hit to Ruben Amaro who traded him to SF for next to nothing. This series wraps up today at 1:05 PM for a businessperson's special. This season is getting more difficult to watch for Phillies fans. I know what you're thinking... The old Phillies all are returning to the roost. Well, this headline was a little misleading. 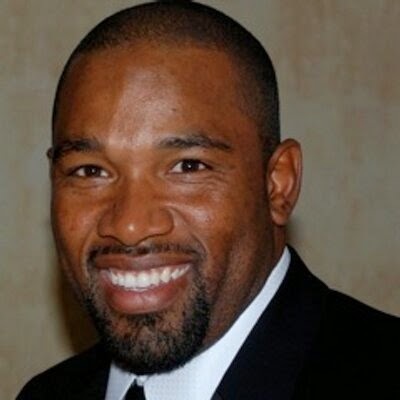 Marlon Anderson will be returning to talk about the Phillies. He'll be added to the roster of big league players that comment on the CSN Philly SportsNet on the pregame and postgame shows on the broadcasts starting tomorrow night. Anderson was with the Phillies for 5 seasons and he joins Ricky Bottalico and Ben Davis for the commentary about the Phillies in their daily schedule of games. Anderson is 40 years old now, and was a Major League baseball player for 12 years. He was on the Phillies for a period in which the Phillies weren't too good, from the 1998 to the 2002 seasons. Tune into the broadcasts on Monday night as the Phillies return home to welcome Cliff Lee to the mound and Marlon Anderson talking baseball on the pre-game and post-game shows. What will the Phillies do after this year's All-Star break. They've been rumored to be sellers, but that was before the team embarked on a 5 game win streak as the All-Star Break is happening. Is this enough to try to remain optimistic with this year's Phillies team? Looking at the players that the Phillies could move, and you suddenly have a whole bunch, the Phils could move players and dump salary and start to rebuild this older team with some younger players. Just a glance at the top 12 players, gives you plenty of ideas on who could be moved. Is anyone sacred on this list? Meaning that is anyone on this team a keeper, and not to be moved regardless? Hamels is signed through 2018 at a hefty $22.5M per year, I am not so sure he would have a lot of takers at that salary and the Phillies don't need to subsidize a move by Hamels by paying any of his salary to another team. Two Phillies starters this season will probably not be back next year, Kyle Kendrick and Roberto Hernandez. The Phillies kind of need to think about pitching for next season. Ryan Howard would be a player that the Phillies would probably like to deal. Not so sure many teams would be picking him up with his salary with what he is offering right now. Could an injury pop up with a contending team that needs a first baseman, that could change things. Papelbon probably leads the parade for first Phillies to get moved. He's been really vocal about wanting to leave, but does any team want Papelbon and this alter-ego Ocho Cinco? We'll see if any of the Phillies better players are moved, will the Phillies get anyone in return for them? That's an important part of trying to rebuild a team as well to get a decent player in return.